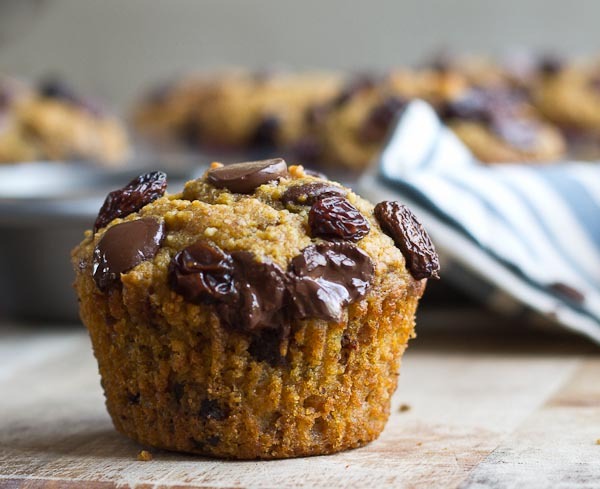 These Pumpkin Chocolate Chip Muffins are perfectly moist, and delicious and slammed with nutrition— hi pumpkin, chia seeds, flaxseeds and brewer’s yeast. Perfect for nursing moms (eeerr… hungry dads) + a list of foods that supports nursing. Breastfeeding. Boy do I have a lot to say about the subject right now… but in effort not to go off on a rant, I will stick to nutrition today and save the social discussion for a later date. Nursing your baby is not all roses people and I’ll leave it at that. As a new mom, I’ve been trying to do what I can to eat foods that support a healthy milk production so that baby Parker can be fed the good stuff. 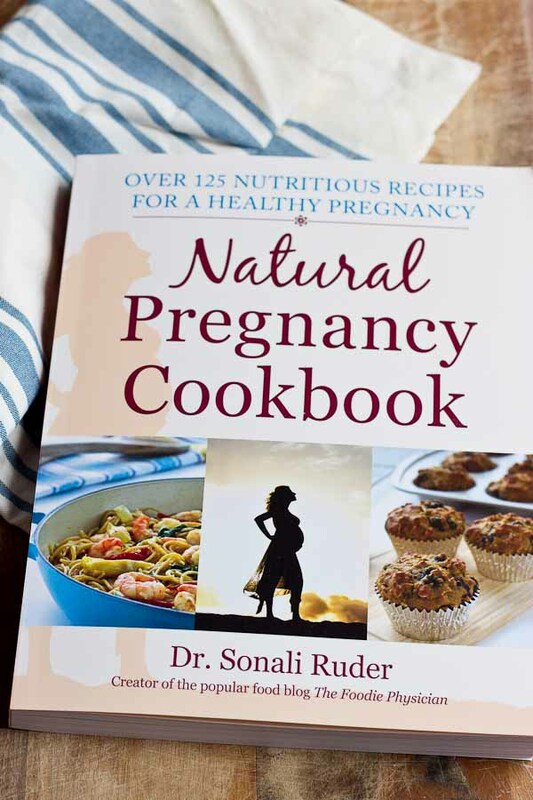 When Sonali from The Foodie Physician reached out about her latest book, Natural Pregnancy Cookbook, my first hope was that she had a good lactation cookie or muffin recipe and ohhh.m.geee this muffin is a winner. 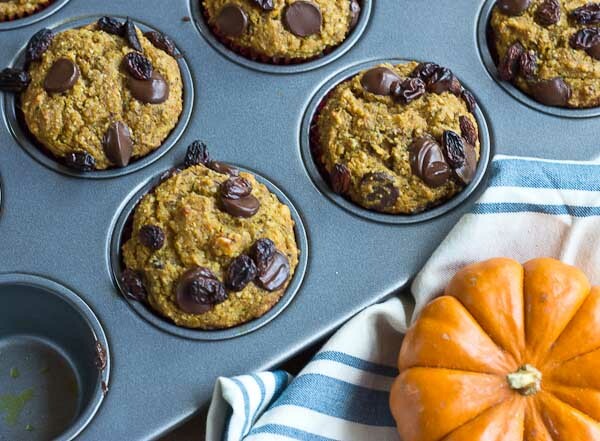 These Pumpkin Chocolate Chip Muffins are perfectly moist, and delicious and slammed with nutrition— hi pumpkin, chia seeds, flaxseeds and brewer’s yeast. I’ve seriously made these muffins like 5 times. Welcome to the land of milk and… j/k not all the batches were for myself. 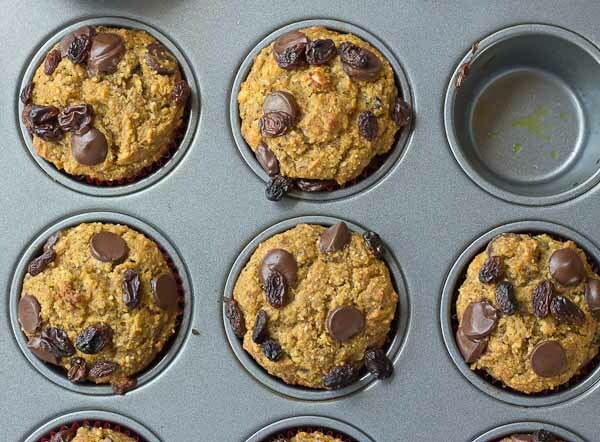 I love how this recipe uses honey, applesauce, and coconut oil rather than sugar and butter… so you can feel good about munching on these goodies. Some studies show that brewer’s yeast may play a role in lowering blood sugar. Brewer’s yeast contains significant amounts of B-vitamins, essential amino acids, and chromium. The biologically active form of chromium may be linked to reducing blood sugar levels which helps to improve glucose tolerance and reduce the amount of insulin needed. This is potentially good news for those with diabetes! Breastfeeding moms need to get more nutrients into their diet especially fluid and calories. Because nursing can burn up to 500 calories per day, restrictive diets can put a damper on mom’s supply. Drinking enough water is essential to milk production too. While eating when hungry and drinking when thirsty are the two most important factors to producing enough breastmilk, incorporating oats, flaxseed and brewers yeast in the diet may also help boost supply. 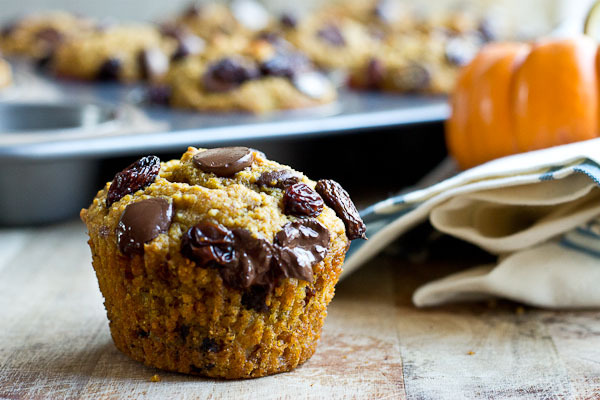 All the more reason to eat Pumpkin Chocolate Chip Lactation Muffins right? While nature does a good job at preserving quality of breastmilk if mom is slacking, there are some key nutrients that baby may be missing if mom isn’t getting enough– specifically Vitamin D and Omega 3s. For those of you that know nutrition, these are two shortfall nutrients that we ALL need to be getting more of because they both have very important roles in health and longevity. Along with daily sun exposure for adequate Vitamin D levels moms should work to balance their diet with these foods. 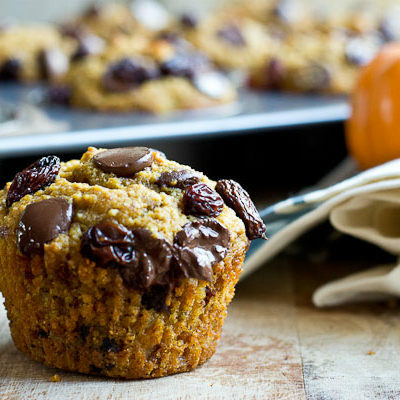 This recipe for Pumpkin Chocolate Chip Lactation Muffins is delicious! Perfect for nursing moms + list of foods that support breastfeeding. Preheat oven to 350 degrees F. Whisk together the wet ingredients (eggs through vanilla). In another bowl, combine the dry ingredients (whole wheat flour through brewer’s yeast). Line muffin tins with paper. Fill each to the top with batter and top with chocolate chips (optional). Bake 25 to 30 minutes for regular muffins, 22 minutes for mini muffins, and 55 minutes for a loaf. They are ready with toothpick inserted in the middle comes out clean. Cool for a few minutes in the pan on a rack. Then, remove from the pan and cool completely on a rack. Muffins came out very delicious! They can easily be made vegan by using “flax eggs” instead of the two eggs it calls for. One flax egg is one tablespoon ground flax seed mixed with 2.5 tablespoons warm water. I used two tablespoons of flax and five tbsp water and then omitted the flax meal that is listed later in the ingredients. Worked like a charm! I’m so glad to hear this! Happy you enjoyed!